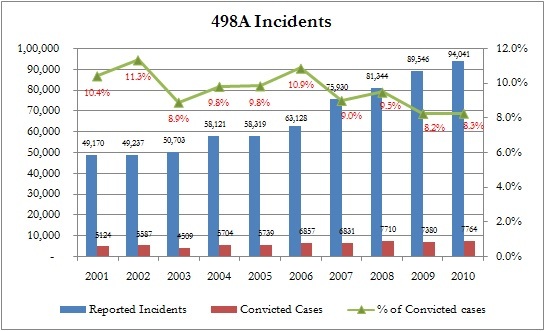 Does the total number of cases also include ‘on-going’ cases, if so, the %age shown is wrong? Yes, it would include ‘on-going-cases’. The percentage is a fair representation as many reported incidents are found to be false during investigation or withdrawn during trial. 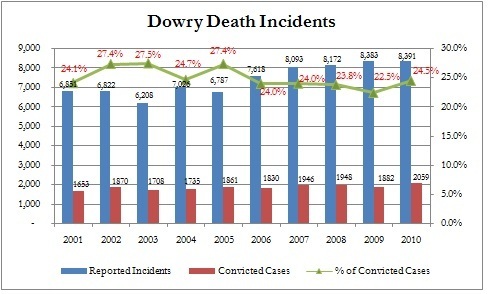 The percentage needs to be calculated taking these cases also into consideration. Further, as this percentage is calculated for a longer period of time (ie. 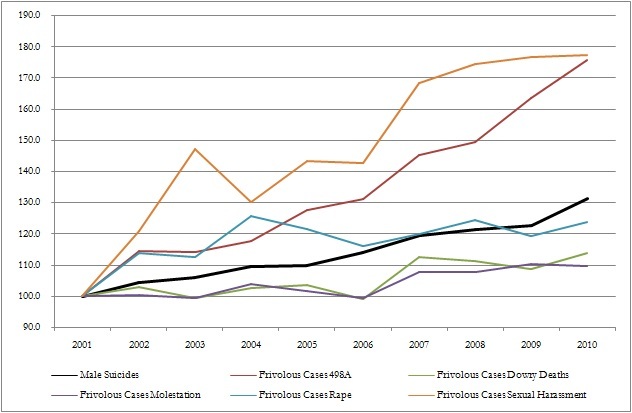 on reported incidents), the effect of on-going-incidents gets averaged out and clearer trend line emerges.